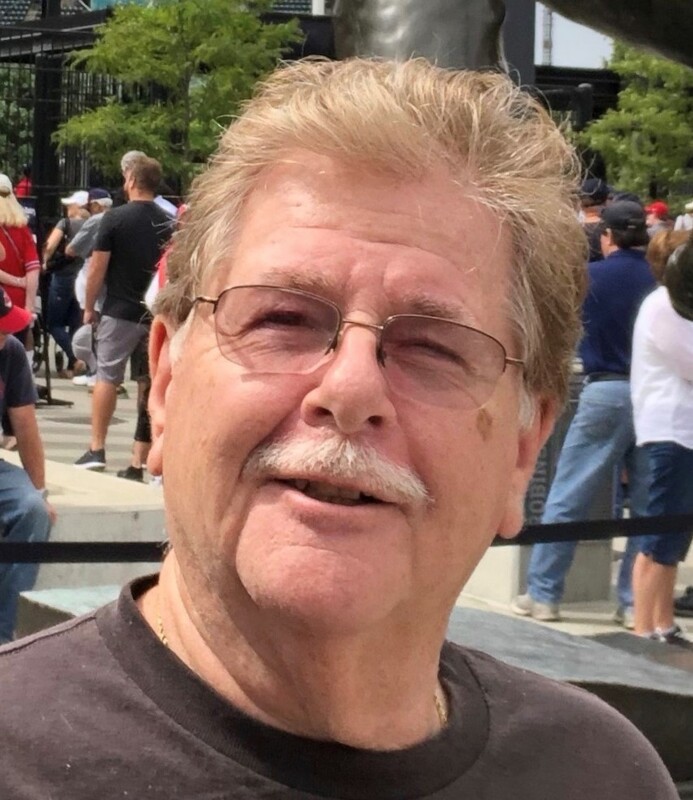 Edward J. McLean Jr., age 68, of Cleveland, passed away Saturday, February 16th, 2019. Ed was born on April 2nd, 1950 in Cleveland, Ohio to the late Edward and Mary Jane McLean. Ed was a graduate of Kirkland High School and worked at TRW for years in the machinery business. Ed enjoyed attending Lake County Captains games, riding his bike, working on his Ford truck, and maintaining his cabin in Pennsylvania. He married his true love, Joyce (deceased), on August 28th, 1993. Joyce was Ed’s soulmate and was the light of his life. Joyce and Ed spent their yearly anniversaries at Kelley’s Island at the Eagle’s Nest. Ed was an active member of the American Legion (Post 214, Willoughby) and bowled on Sunday nights at Wickliffe Lanes with his bowling league. He spent countless days at the shooting range and valued his collection of American-made guns. Though Ed was a quiet man, he had a wonderful sense of humor and always found a way to make others laugh. He is finally reunited with his loving wife whom he has missed very much since her passing on August 19, 2014. Ed will be greatly missed by his family as he was the dearest father of James Skora (Christine); devoted grandfather of Maria (James) and Gina (Jon); dear brother in law of Sister Judith Bucco SND and Albert Bucco and was a cousin and friend to many. Mass of Christian Burial Friday February 22, 2019 at 10 a.m. at St. Gabriel Church (PLEASE MEET AT CHURCH). Interment All Souls Cemetery. The family will receive friends at VICCHIARELLI FUNERAL HOME 5252 MAYFIELD RD. LYNDHURST (BETWEEN RICHMOND & BRAINARD) Thursday 4-7 P.M.
Rosemarie Wiencek (Cardone), beloved wife of Robert (deceased); dearest mother of Robert (Nancy), Susan Rusnaczyk (John) and Lynn Laurence (Tom); devoted grandmother of Nicole, Steven Soeder, John, Michael, Alyssa, Matthew, Lia and Aimee; loving sister of Francis Pursey (George)(both deceased). Mass of Christian Burial Monday February 18, 2019 at 10 a.m. at St. Francis of Assisi Church. Entombment Lake View Cemetery. The family will receive friends at VICCHIARELLI FUNERAL HOME 5252 MAYFIELD RD.LYNDHURST (BETWEEN RICHMOND & BRAINARD) SUNDAY 2-5 P.M. Categories: Last Name : W | Permalink. Ann Prijatel, 98, beloved wife of Louis (deceased); sister, aunt and friend to many. In lieu of flowers donations can be made to St. Paschal Baylon Capital Campaign Fund. Mass of Christian Burial Thursday February 7, 2019 at 10:30 a.m. at St. Paschal Baylon. Inurnment All Souls Cemetery. Friends will be received at church Thursday at 9:45 a.m. until time of service. Categories: Last Name : P | Permalink.